If you’re having trouble sleeping at night, it’s pretty hard to ignore the problem. You’ll feel sluggish, irritable and just generally unprepared to deal with everything the day has in store for you. There are many reasons why many Americans don’t get the full seven to nine hours of sleep each night recommended by doctors. For example, nearly half of American workers say anxiety over their jobs has kept them from getting enough sleep. New parents often don’t get enough sleep because their responsibilities to their children keep them out of bed. College students don’t get enough sleep because they’re either burning the midnight oil or pushing themselves to party all night long. People from all walks of life have let their smartphones and laptops keep their brains in a constant state of stimulation when they should be gearing down to rest for the night. No matter the reason, however, not getting enough sleep is a serious matter. Sleep is the body’s opportunity to recharge and reset for the new day, and anything that cuts into that time means your mind and body will never be at 100 percent. People who don’t get enough sleep on a regular basis put themselves at risk for health problems including diabetes and heart disease, not to mention the general effects of feeling groggy and worn out for the entire day. Getting enough sleep isn’t something we should consider a luxury – it’s an essential part of keeping ourselves healthy and happy. Getting a good night’s sleep requires making the time and focusing on developing good sleep habits. For example, shutting down electronics at night allows our brains a chance to relax without constant stimuli. Keeping your bedroom dark and cool ensures that your body will get the signal that it’s time to get some rest, too. Perhaps the most important thing to remember is that you need to remember to get to bed at more or less the same time every night in order to maintain good sleeping habits. 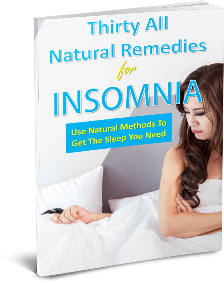 These and other tips for getting the best night’s sleep are contained in the accompanying guide. A good night’s sleep isn’t just a good idea – it’s extremely important. Make sure you’re getting the best night’s sleep you can get.